We interrupt this broadcast… well, series of articles… about wonderful music and dance in southern Spain… to make an important announcement. Tickets for the 2018 Clapham Book Festival are ON SALE NOW. Go to https://www.omnibus-clapham.org/clapham-book-festival/ where you’ll be able to find tickets for the whole Programme. The Omnibus Theatre events are part of Omnibus’ Whispers from the Walls Summer Season a celebration of storytelling, theatre and the power of words. If you access the Omnibus site without using the link above, click on the Whispers from the Walls header, the third in the scrolling display at the top of the Omnibus Home page. You’ll find the Clapham Book Festival landing page beneath it. Click on the logo and you will be taken to the list of events. There’s The Writing Game, with editor Philip Gwyn Jones and agent Lucy Luck, if you want to learn how to get published. Word Force, with Radio 4’s former poet in residence, Daljit Nagra. Crime fiction with Mark Lawson and, of course, Margaret Drabble, literary Dame, in conversation in the afternoon. Non-fiction lovers have a feast with historian Simon Berthon and biographers Henry Hemming and Clare Mulley in Walls Have Ears. Finally, Deborah Moggach OBE bids us enter the world of the Best Exotic Marigold Hotel. Unfortunately the Omnibus site cannot make available a single, discounted Festival-wide ticket. This was one of the strongest messages from the feedback after last year’s Festival, but I’m sorry, I’m afraid that, this year, it is beyond our control. If you live in or near SW4 you can come along and purchase tickets at Omnibus Box Office in person (and avoid the on-line booking fees). If y ou live in South London you’ll probably be reading about the Festival in the local print media (South London News carries an article this week). The Festival organisers, or the authors appearing at it, have already been busy giving interviews to journalists and we hope to have some local broadcast media interested too. Indeed, given the participation of two Radio 4 regulars we are hoping for a mention on national BBC too. I even recorded a five second video for Omnibus Theatre’s publicity. The resulting snippet was dreadful, in my humble opinion, I rather hope they don’t use it. Lambeth Readers and Writers Festival Magazine carries details of the Programme, as will Lambeth Libraries and we’ll be featuring in the Newsletters of the Clapham Society and other local institutions. 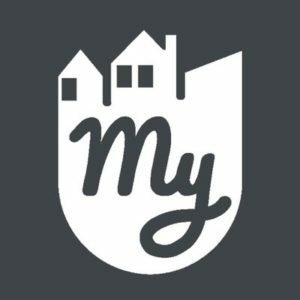 If you belong to a local online grouping – like Mumsnet, Clapham W.I., Clapham Police – you’ll be seeing our Programme and publicity soon and we’ll be featured on MyClaphamApp. Local primary schools have been contacted and we’re contacting schools’ librarians too, to tell them about Patrice Lawrence at Clapham Library , which kicks off this year’s Festival. Clapham Book Fest will be on Snapchat and Instagram as well as Facebook and Twitter. If you have social media accounts, please re-tweet or forward links so that our message gets out to as many potential Festival goers as possible. I, and lots of other Clapham authors, will be tweeting too. This entry was posted in Books, Clapham Book Festival by juliej. Bookmark the permalink.